Following on from last year's record-breaking box office hit, 'A Christmas Carol - As told by Jacob Marley (deceased)', multi award-winning actor/writer and London Theatre Award Nominee, James Hyland (recent recipient of Best Performer in Theatre 2012 – Fringe Report Awards), returns with 'Fagin’s Last Hour'. Told from the point of view of Fagin the Miser, one hour before his execution, this unique one-man show offers a fresh insight into literature’s most controversial villain. 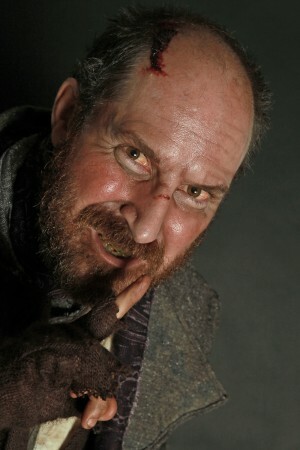 Hailed upon its premiere as "very impressive... hugely engaging" (Remotegoat), 'Fagin's Last Hour' not only conveys the horror of Charles Dickens's original novel but likewise "succeeds in presenting Fagin as a complex human being" (The Dickensian).